Idaho Chicken Ranch: Sunday Night Bowling! One of the myriad reasons we selected Reno from the extensive list of mildly-interesting vacation destinations on the voucher was...a 24/7 bowling alley onsite. 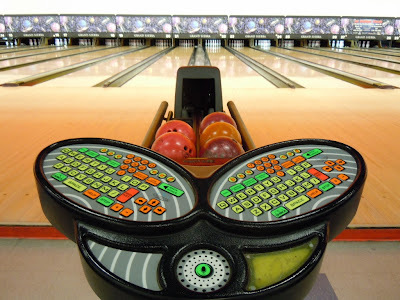 Remember when you actually had to keep score, the neon-y system didn't do it for you automatically? Yeeee. No thank you sir. I like the look of a classic leather bowling shoe, though no one wants to wear rental shoes...but these pleather numbers were just gross. 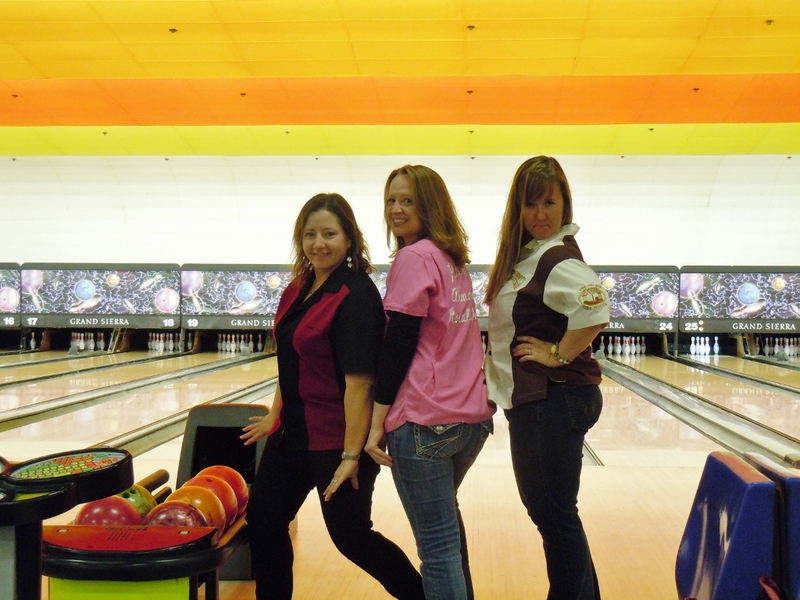 Sunday night's theme included bowling shirts! Aisha and I had to acquire bowling shirts, but this one had a bounty of family bowling shirts at her fingertips. 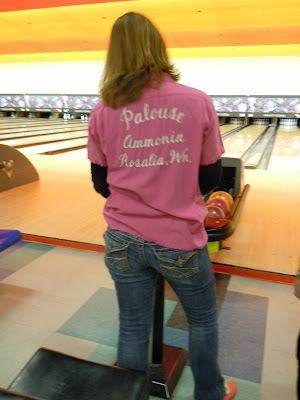 I think this one belonged to her mom, when she played for Palouse Ammonia. Well sure. Aisha's shirt was a hilarious number from Farmer's Insurance. Hahaha. 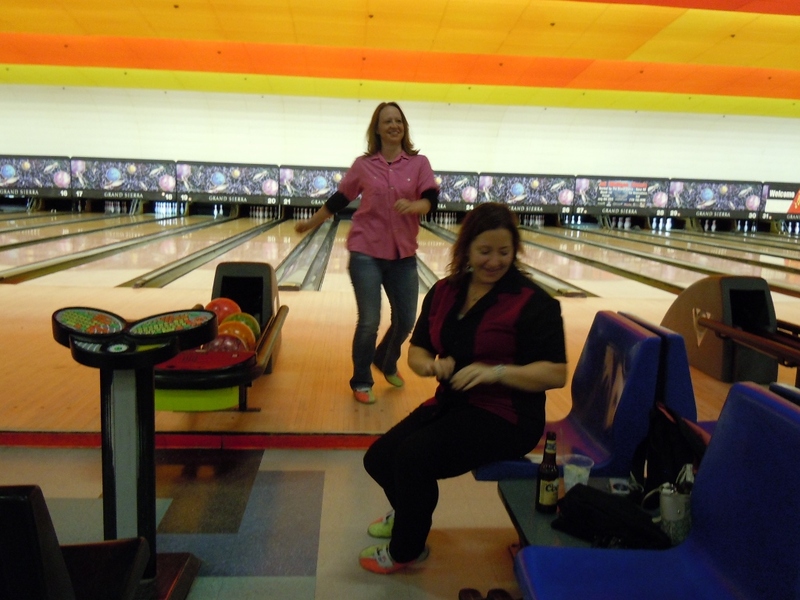 Shelby also won for the best Strike Moves. 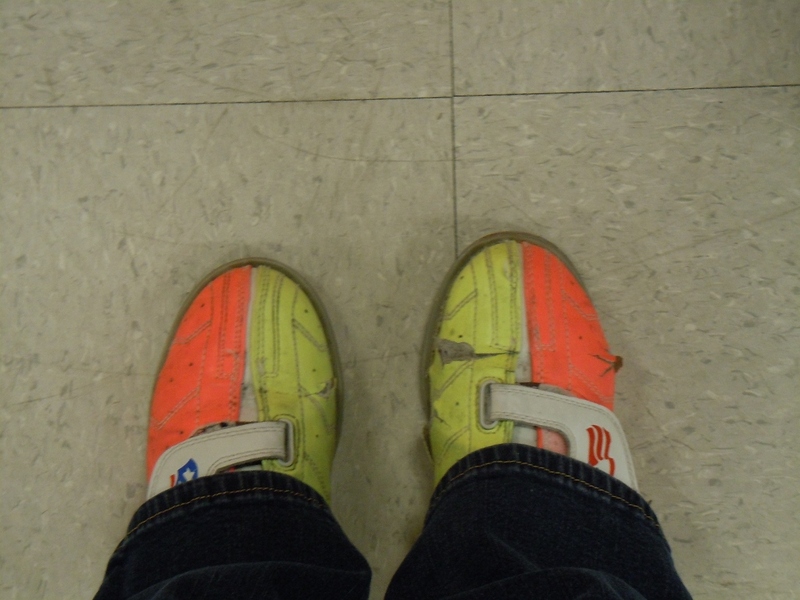 But the best part of bowling night? 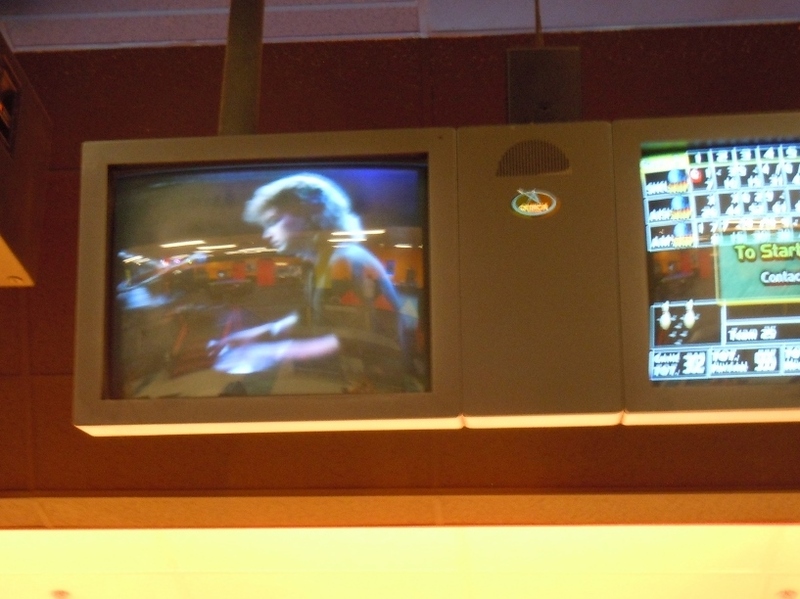 The weird collection of mostly-classic music videos played on old-school, low-def TVs. Hello? Is it Lionel Richie you're looking for? I think Aisha's face is reflecting our general shock at how inappropriate this particular video really was. Richard Marx!!! Hahahah! A high school friend used to say that Richard Marx was one of the signs of the apocalypse. This is one of my fave pix of the trip. 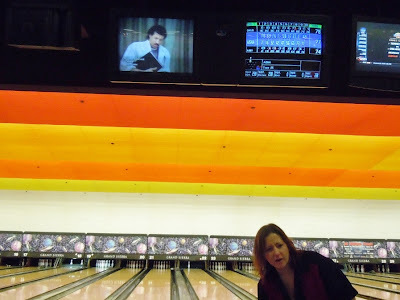 Both because of Shelby's hilarious stunned amazement, but because it also captures the hilarious group of high school boys behind her, who were singing and dancing together, most memorably to Journey. LOVE bowling! 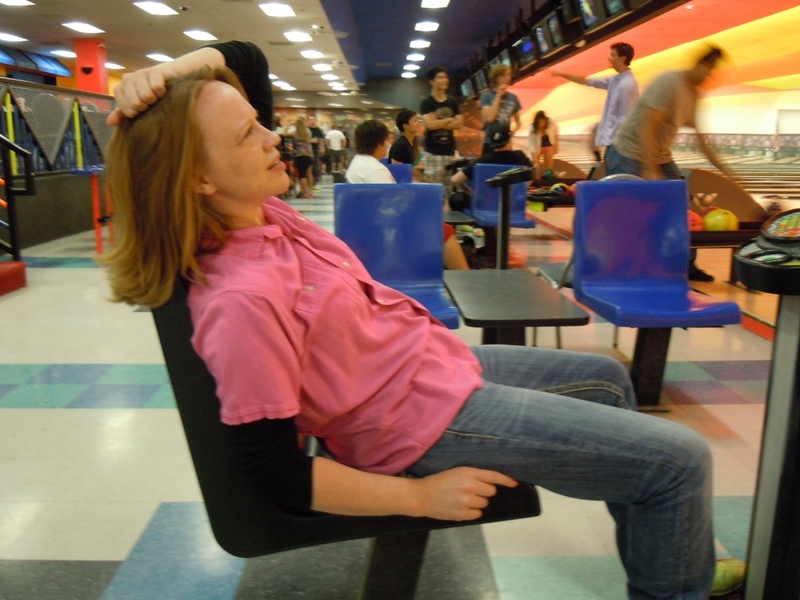 We missed the GSR's "Classy Lady Bowling Tournament," but we had a great time at the GSR lanes.